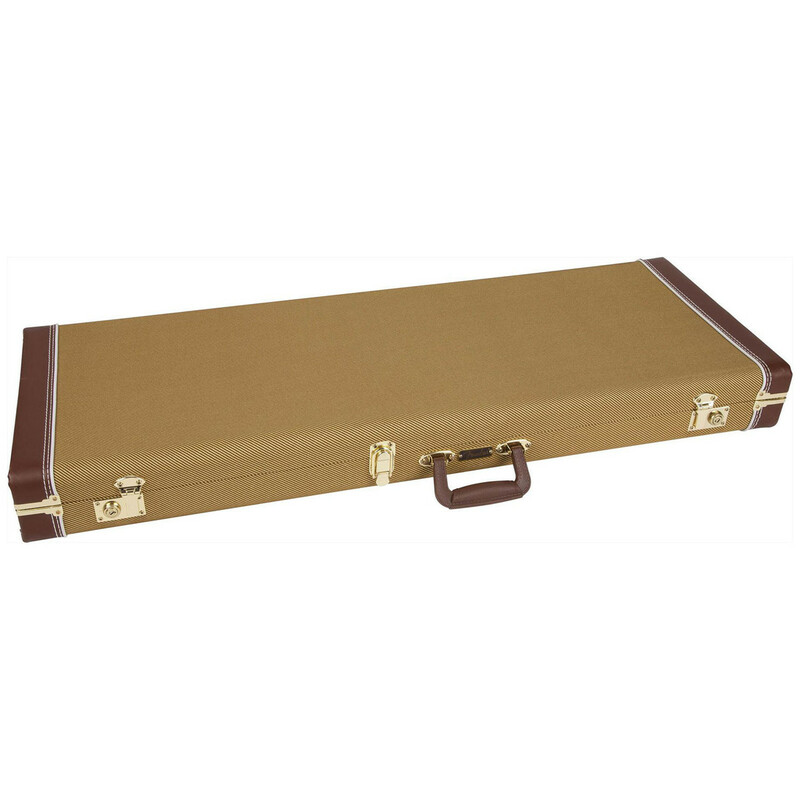 The Fender Pro Series Case in tweed is lightweight but durable while maintaining traditional Fender styling and design. 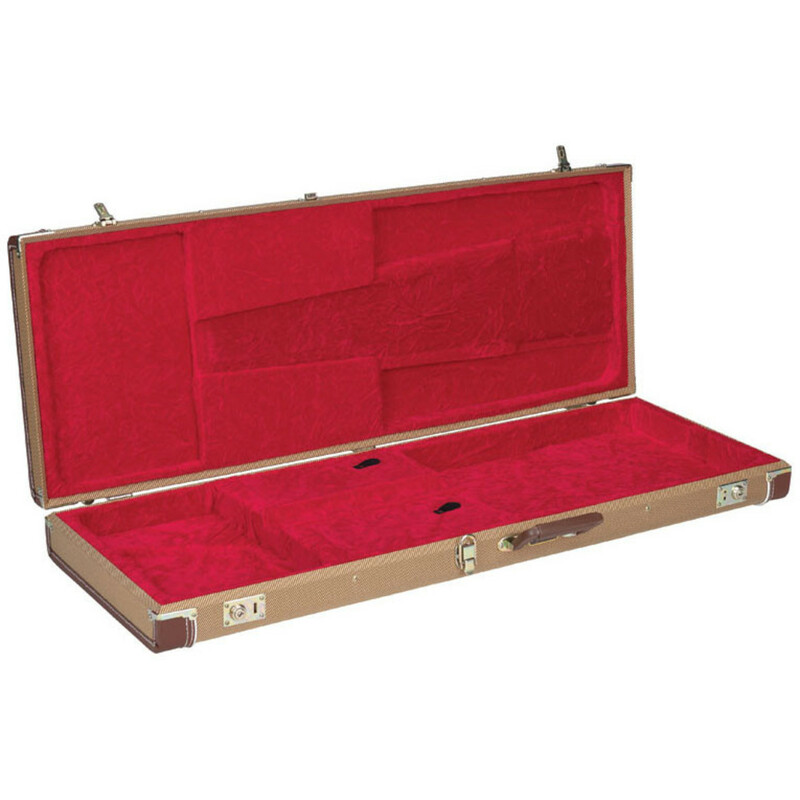 The universal interior of the Pro Series Case allows for right or left handed Telecaster/Strat guitars. An extra wide neck support with soft plush internal lining protects your instrument from scratches and surface damage, while inner accessory compartments allow for extra storage of peripherals. Two locking latches are featured in chrome.